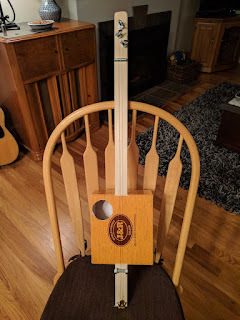 While I was visiting Kathy's side of the family in Illinois I got the idea to make a cigar box guitar. This is my first attempt. I went with a cardboard box and nylon strings. There are no frets so I use a slide to play. Nylon strings take a while to stop stretching but as long as the strings are in tune it sounds surprisingly good. There are only two strings right now because I broke one. Those eye-hook bolt tuners don't work nearly as well as regular tuners. 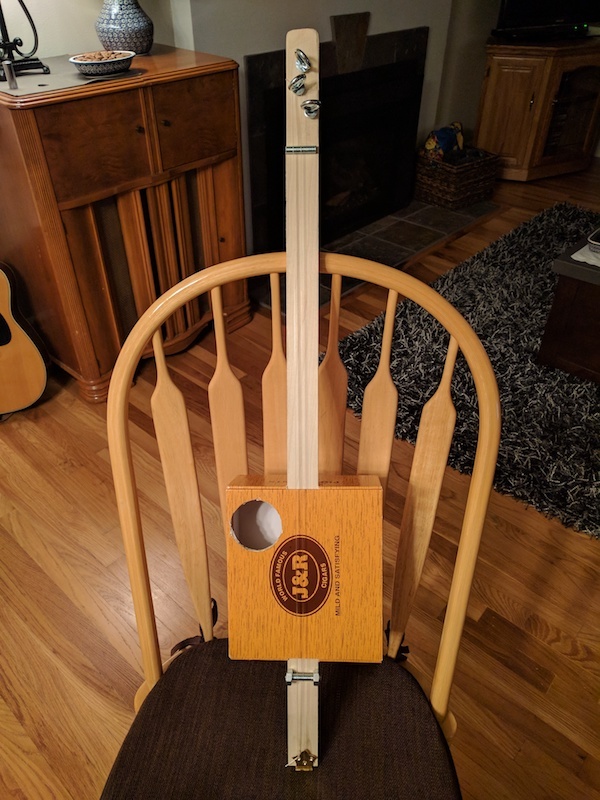 Next, I'm going to try a wooden cigar box and bronze wound guitar strings. And real tuners.